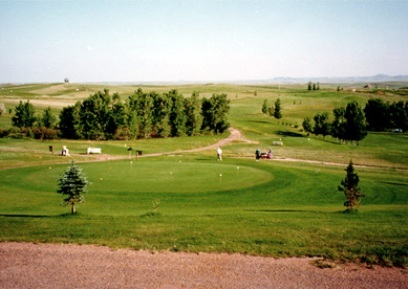 Rolling Hills Golf Course is a Public, 9 hole golf course located in Broadus, Montana. Rolling Hills Golf Course first opened for play in 1981. The course was designed by Cyrus Bidwell. Rolling Hills Golf Course is a spacious 9-hole course with wildlife and scenic views. The par 36, 3,062 yard course can easily be walked or carts are available for rent. The gentle rolling hills give players spacious fairways and numerous elevated greens to challenge both your long and short games. Tee times are not needed and green. Rolling Hills is a must-see when traveling between the Battle of the Little Bighorn and the Black Hills.